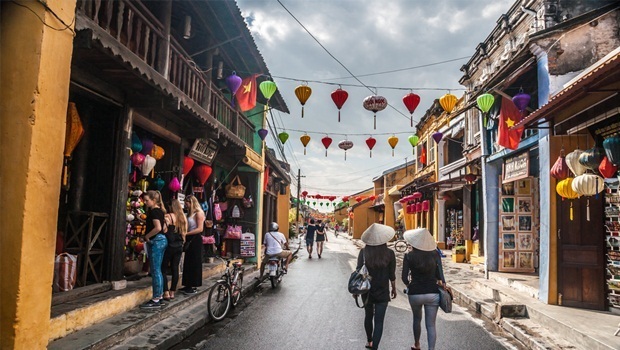 Hoi An (Hội An), a peaceful and ancient town, is one of the most popular and worth-visiting destinations in Vietnam that caters to tourists of tasters from worldwide. This old little town is a perfect candidate of what the tourism ministry of Vietnam aims to show the whole world. Not only does Hoi An possess incredibly beautiful scenes, but it also is a heaven for shopaholics. The increased flow of travelers has formed a new market for traditional handicrafts as well as artistic creations in Hoi An. With new needs and desires, the combination of ancient customs and contemporary creativity pushes new boundaries and creates dazzling products. Of the things sold in this town, there are 3 different main categories, including souvenir, clothing and food, both Vietnamese and Western. Silk lantern: this is one of the symbols of Hoi An. 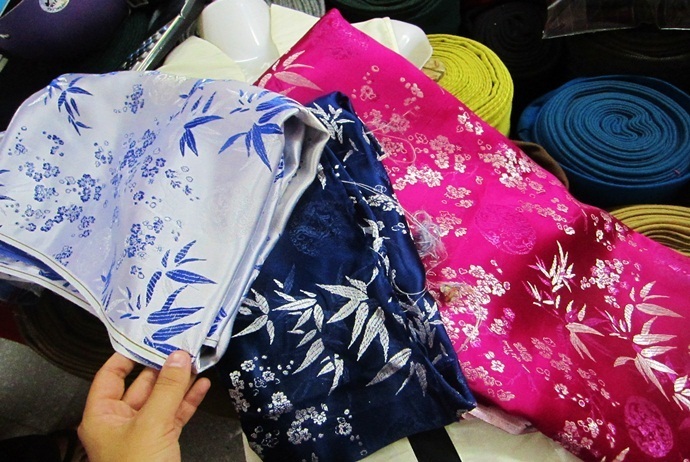 Silk is a famous item in Hoi An so that this is why silk lantern was popularly made into production because of high needs in interior design. 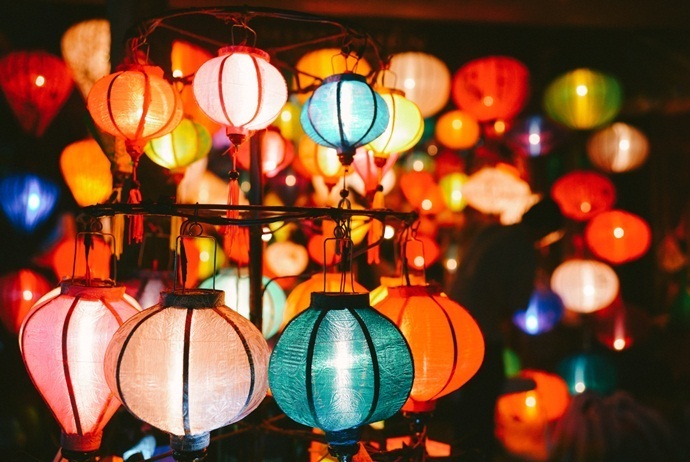 It is said that the best time to purchase lanterns in Hoi An is during the night as at that time you can see exactly how they look like after lit up. Cloths: no matter how short your trip in Hoi An is, you should still take time to go shopping and opt for the custom cloth you love. The range is varied and wide with plenty of tailors who can carefully run up your desired silk suit. Seashell handbags: if your friends or family members have not had any handbag which is hand-made, then this item is an ideal gift for your need. Just simply go to souvenir shops and you will find some interesting handbags there. Chopsticks: this is a must-have item on the dining table of Vietnamese people. You just see chopsticks in Vietnam and some other Asian countries like Japan, China, and Korea. 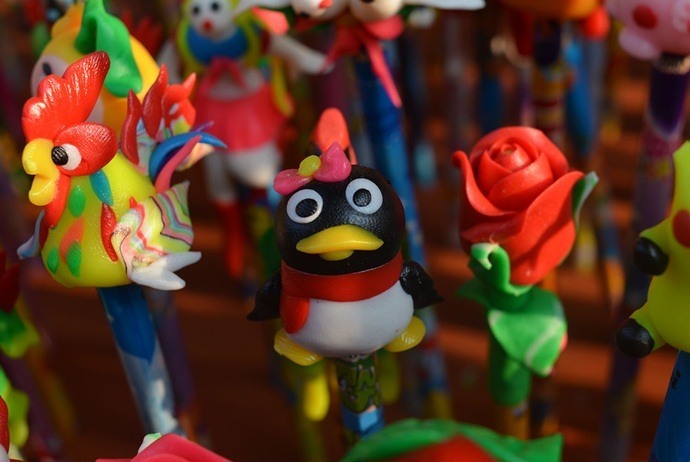 So, before coming back your hometown, do not forget buying some pairs of chopsticks as a special gift for your family and friends. 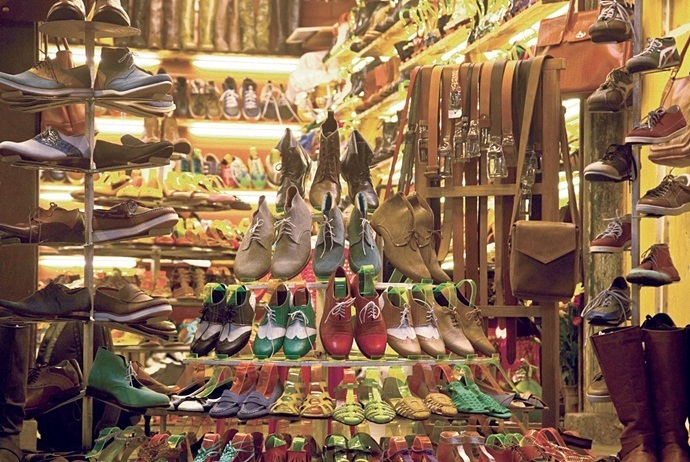 Footwear: Shoes in Hoi An are various in types and rich in designs. The sellers here are also very hospitable and enthusiastic so you will surely find pleasant shoes for your needs. Paintings: with most oil and water based pieces decorating the wall, Hoi An is also a great place for tourists to buy some paintings as gifts for their family members and friends. To He: when you have a chance to visit Hoi An, you will see many old women selling To He (Tò He) on the streets. This product is extremely famous in this old town and attracts a lot of tourist when they come here. It looks so special and strange. Among the things mentioned above, Hoi An is better known for its clothing with skillful tailors. 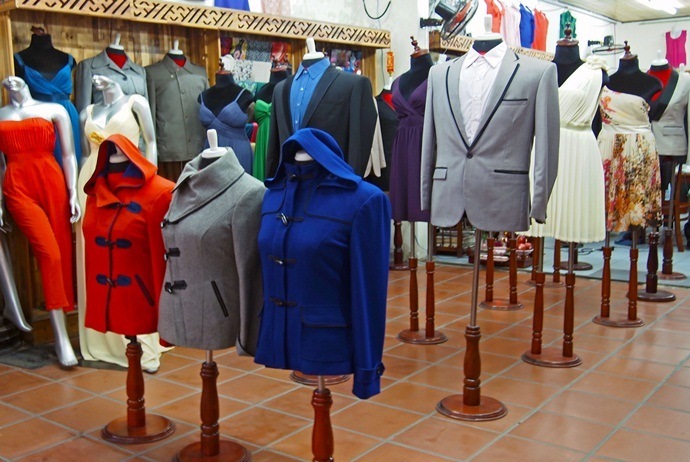 Whether your demand is Western styled suits, a traditional custom of Vietnam namedAo Dai, or anything else in between, there is a shop with the expertise and fabric essential to bring your demands to fruition. Before you getting to know the ideal places to buy clothing in Hoi An, it is better for you to keep in mind some tips when shopping for clothing in Hoi An given by experienced shoppers. It is recommended to do your reviews and research in advance before start buying something. There are over 500 tailors in Hoi An and if you could get a specific recommendation or opt for one based on positive reviews, it will be good for you. Nevertheless, you should not always listen to the recommendations from the hotel you stay at as they might well be getting commission from the tailors. If you find something nice in a certain shop, then do not be afraid of wandering in just because you have not heard of it or had it recommended. According to some experienced shoppers, they said that they purchased several things from random shops as they felt comfortable with the tailors and trust the services they offered. Despite there are a few scammers as well as places producing shoddy stuff yet you just need to have your wits about you. When you decide to purchase something, just make sure that you carefully check the fabric thoroughly for its quality before placing your order. Normally, there are a lot of display items in the store, so warrant that you check the stitching, the detail as well as craftsmanship. There are two choices for you to bring home your desired clothing item: either choosing one of the existing designs in the shops or taking a piece of clothing that you would like to be copied in the store. In case you want something more custom designed, then you should be clear on what you want, otherwise you may end up with something definitely different from your initial idea. And, for custom design, you will have to pay more. Another tip on shopping in Hoi An, particularly in clothing shopping is to buy a few items in one store. If you like the designing style of a certain tailor, then you could use it for your advantage. The majority of shops will offer discounts if customers purchase 2 or more items; and it also means that you just have to go to a single shop for fittings. However, some said that they do not put all of their eggs in one basket, that is why they ended up purchasing from different stores in total yet it is a good cost saver. When the tailors quote you the price of your desired item, make sure that it includes additional taxes. If you have agreed with that price, then make sure that it is set in stone. Despite you are not an aggressive negotiator, you should learn to bargain when shopping in Hoi An. The trick shared by some experienced tourists was to tell the shop owners that they would consider the price and have a wander around the old town before making a final decision. Then, as soon as he said this, the price would begin dropping quickly yet it was still a friendly negotiation. Do not pay in full for an item before getting the goods. At best, you can pay the full price on completion yet more than likely you will pay a deposit for the additional work. Bear in mind that you should never leave without the goods after handling over the full cost of your desired item. This shop brings a Western sensibility to Asian design. Metiseko, among many destinations for shopping in Hoi An, creates a lot of playful prints inspired by Vietnamese people to collections from the kitchen, wardrobe and home. Each design tells a certain story and will not seem out of place after taking it home. All of these products are certified organic from developing to produce, with every step of the process scrutinized for its social and environmental impact. The handmade quilts of Metiseko are a great blend of quality and comfort, and its “eco chic” features a simple but sensual style. If you are looking for high quality custom designed clothing, then think of Lensilk. The designs of this shop are designed only for females, and are known locally for their minimalist concepts and suitable for a western taste. The clothing is made from total silk and is manufactured and dyed by human hands. This boutique is an expat-run shop owned by a European fashion designer who is passionate about designing dresses, shoes, blouses, and accessories, including great bags and hats. 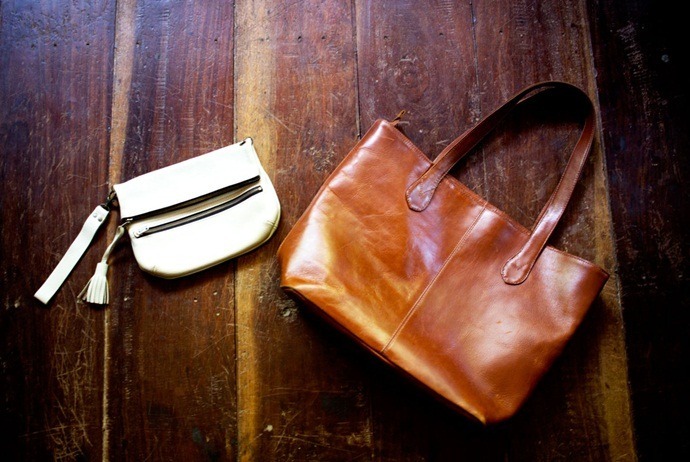 Designs are made by local craftsmen and materials are fair trade. The Avana boutique presents a unique, impressive collection of funky fashion, which contains only high quality, handmade clothing. If their wide range of premade outfits does not grab you, chances are, you can pick a design and fabric you love. Every customer will find the right fit for their own bodies, and every piece could be redone. This brand has many branches throughout Vietnam selling cotton printed T-shirts. The original, cheeky T-shirts designs of Papaya are really well-recognized. Their designs have been copied a lot of times over, including the iPho tee. However, if you want to get the original, then it will always be Papaya. Taking advantage of 100% high quality cottons, there will be always something for you to take – with a taste of local humor involved in each design, making for a greatly, uniquely Vietnamese purchase. Also, papaya donates a reasonable percentage of their returns to children’s foundation. 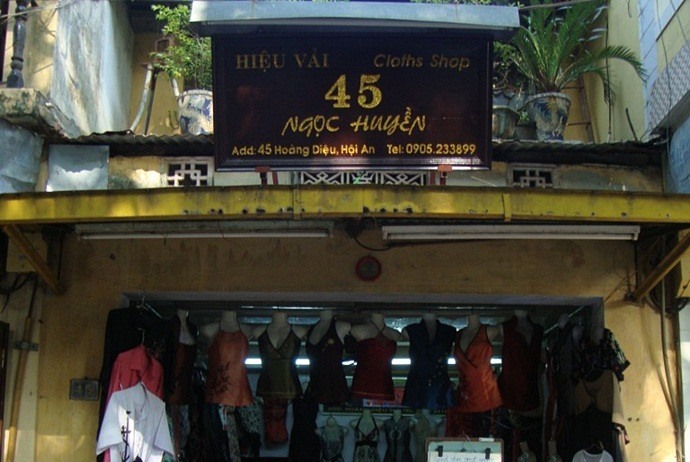 This is one of the most recommended stop in regard to shopping in Hoi An. Here, you will discover a wide range of high quality fabrics, and the staffs are friendly and helpful in providing customers with some important recommendations. If you want to look for high quality clothing when shopping in Hoi An, look no further than Ginkgo. Here, all products are designed in house and produced in Ho Chi Minh (Hồ Chí Minh) City. The designs are inspired by Vietnamese culture. 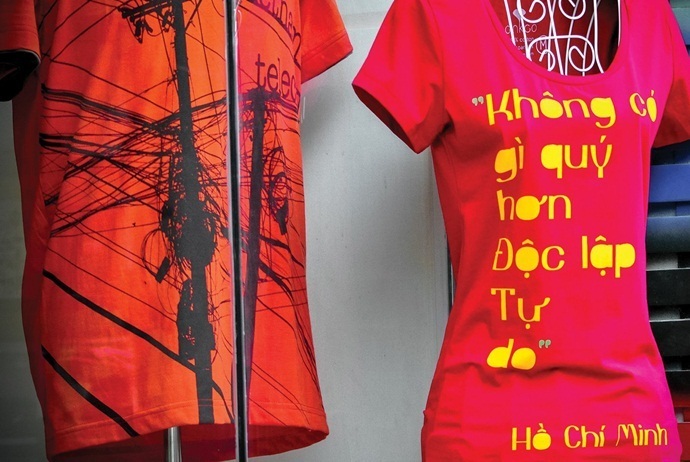 The unique print T-shirts feature different aspects of Vietnamese culture. Substance and style, Ginkgo just uses fair labor practices to finish their work. With a team of 25 skillful craftsmen standing head and shoulders above other craftsmen in Hoi An, Trang Tailors will definitely satisfy any taste of customers. Here, tailors give you careful attention of measuring and fitting in order to make sure that you will have the perfect garment and design. 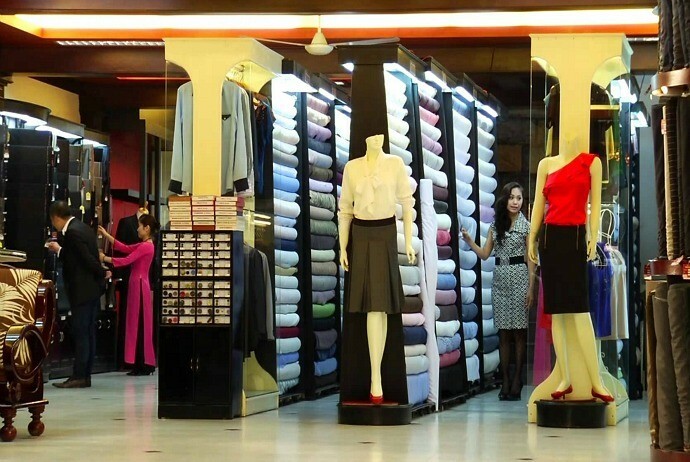 Having a variety of fabrics and books for inspiration, Trang Tailors are professional in designing and making dresses, shirts, suits, and trousers. Location:No. 43 Trang Hung Dao (Trần Hưng Đạo) Street, Hoi An. 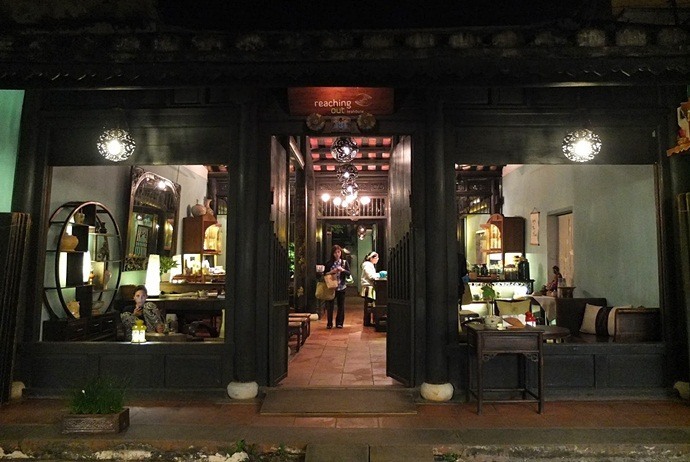 This shop is a combination talents and great brands in such an atmospheric space where customers could have a respite from the hustle Hoi An streets and many souvenir and tailor shops. 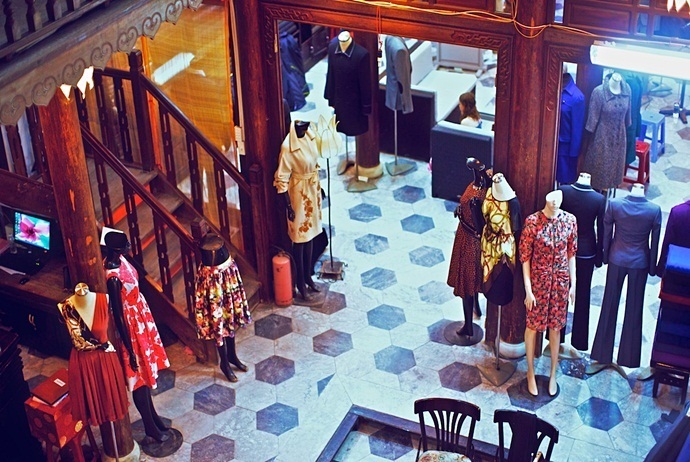 It is considered as one of the a kind premium retail spot, known for its breadth of quality Vietnam originated brands offering all customers a unique shopping experience and product. Keep reading this detailed list to discover more great places for shopping in Hoi An that will definitely satisfy your wish list! The leather: this shop sources the best leather available and stocks up so as to not run out like many other shops. No tainted or fake leather here. Guarantee: this might be the only shop in Hoi An offering full reimbursement if customers are not satisfied. Their slogan is no like, no pay. That will cut the off the risk when buying products from them. 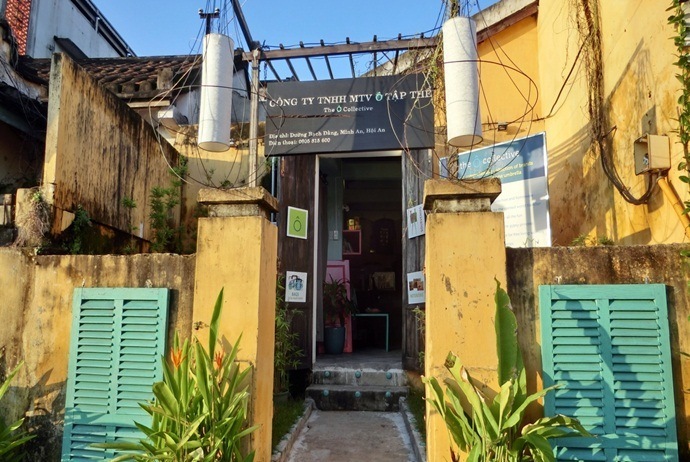 Another interesting shop when it comes to shopping in Hoi An that you should not miss is Hay Hay, which is locally run art collective shop. The shop contains a lot of artworks from 7 artists from around the country. The list is growing, from handmade bags to paints to notebooks, it is really a perfect stop for those who want to buy some gifts for their friends and family. 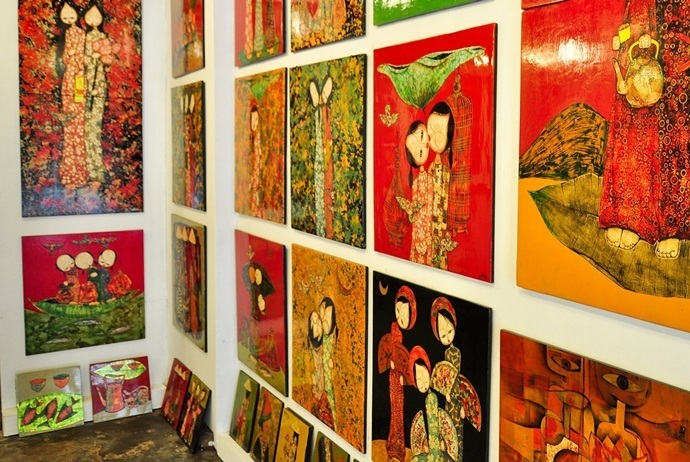 When shopping in Hoi An for artworks, there are many galleries for you to choose from; however, this art gallery stands out amongst other galleries gracing the streets of Hoi An. With mostly oil and water based pieces decorating the wall, pictures exhibited here are all by those local painters. The majority of products are revolved traditional Vietnamese daily life, including people, costumes, and nature; many of them depict a bygone era. Really, these are outstanding works of art made by talented local artisans. The perfect source of silk with some of the finest in Vietnam is sold out here. There is a wide range of silk exhibited here with many tailors to run up and finish your dream silk suit. Just simply opt for your favorite cloth from this market (do not forget bargain the price). Then, when you are ready to take your opted fabric to the tailor, just choose the tailor who does not make it in a rush – that means you should avoid the 24 hour merchants where possible. This Lifestart Foundation Workshop sells the products that made by a cooperative of people with disability from around Hoi An. The profits from handicrafts which are sold out here are returned 100% right back to the people who made it as shop overheads and running costs are operated by the foundation. 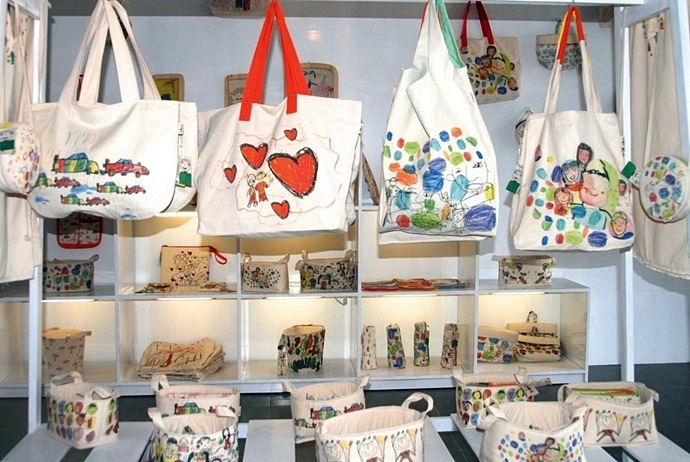 The products for sale are trendy handbags, unusual souvenirs as well as vases which are made from chopsticks, hand painted T-shirts. This place is for those who want to purchase superior quality sterling silver jewelry made by the owners Nguyen and Phil. Lotus Jewelry’s designs are original and well made with their trade mark lotus flower pendant being a popular purchase. There are broaches, necklace, rings, bracelets, and more that absolute can satisfy your taste, from striking and elaborate to discreet and delicate. On the other hand, the service here is very good with prices are fair. 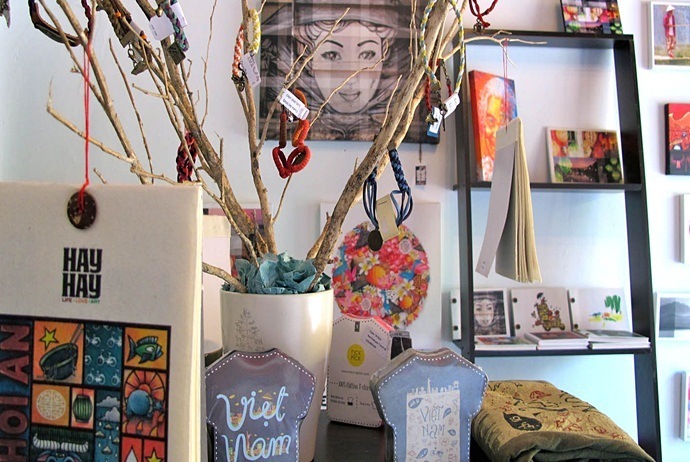 If you have ever travelled to Hoi An before, you might already know about Viet Made brand. 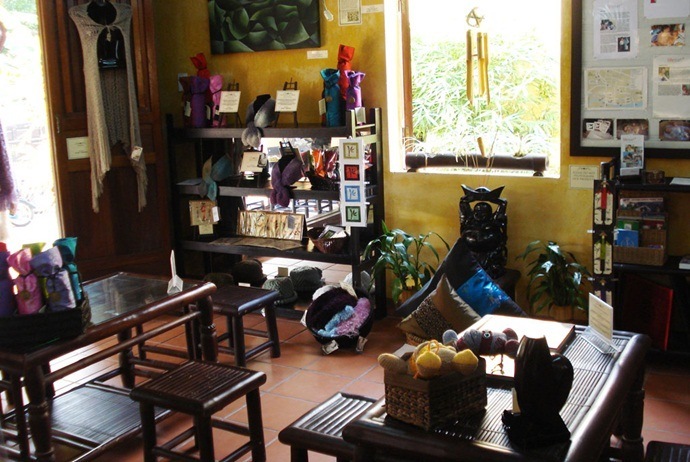 Centrally, situated in Hoi An, Viet Made has one-of-a-kind products hand-made by people with disabilities and children. The creations include handbags, clothing, stationery, art books, home-wares, fashion accessories. These products contain high quality and environment-friendly cotton fabrics, custom-made just for the shop. One of the greatest features about this shop is that free shipping could be arranged for those overseas clients for the orders above $200. So, do not miss out on Viet Made’s organic oils and soaps. For those who love something traditional, then To He should not be skipped. All products displayed here are inspired by the best artwork of children with disability. A part of the profits comes in scholarship programs and funding creative class for those talented children. The shop offers a wide range of products like school accessories, bags, clothing, kid toys. A fair trade gift shop like Reaching Out was run by a Vietnamese couple, led by Le Nguyen Binh who is a great person with disability. This shop just employs disabled artisans and the returns are returned into the enterprise to train and employ a larger number of artisans countrywide. At the shop, customers will unique handicrafts presents only seen in their shop. According to a former customer, he said that Reaching Out craft shop is really a special place with beautiful products and professional customer service. Location: No. 103 Nguyen Thai Hoc (Nguyễn Thái Học) Street, Hoi An. 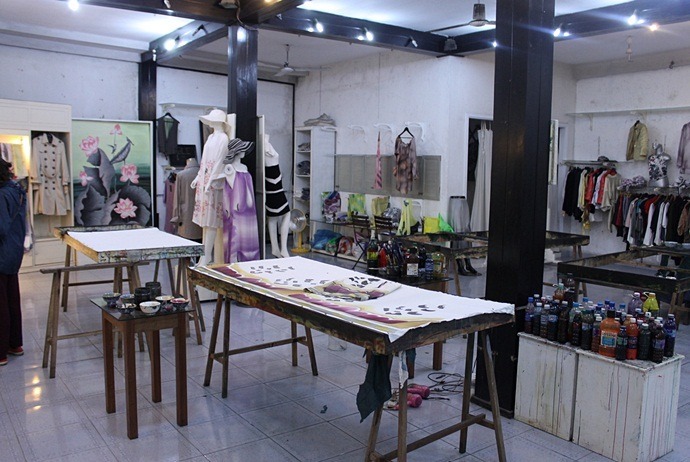 The renowned custom-tailor shop – Yaly Couture is considered as one of the most reputable ones in Hoi An. When shopping in Hoi An, when asking locals about where to buy high quality clothing, then Yaly Couture will be recommended by most of them. Not only could you have custom-made designs focused on specification, but you could also opt for a wide range of patterns and textiles. Whilst the finished products are often well-worth the cost, the quality of customer service offered by employees in the shop is really unbeatable. 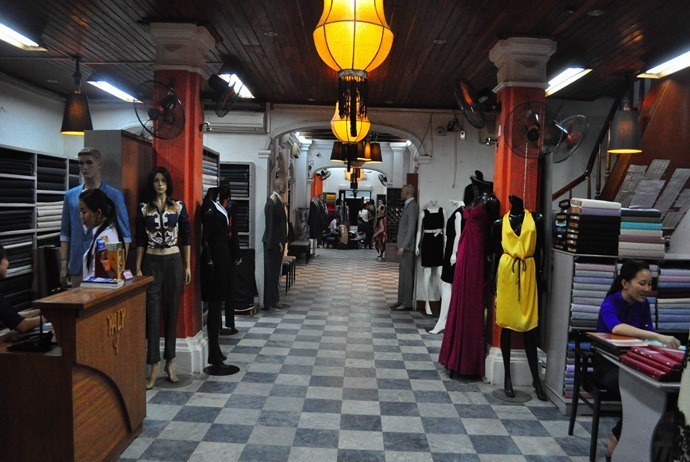 It is not difficult to see why it is one of the most patronized and prolific tailor boutiques in Hoi An. It is the first dedicated shop for bags in Hoi An. There are always some bags suitable for everyone in Friendly Leather Bags. Like other local Friendly Shop, Friendly Bags also has a slogan “No Like = No Pay”. Here, you will be able to find bags made from genuine leather, with over 200 types and 50 colors to opt for. Just simply choose from the catalogues or use the computer in shop to opt for your desired bag. More interestingly, this shop could also customize the sizes and pockets for customers. And, if you are in a hurry, then just less than 1 day, most of the bags will be completed. Simplicity, nature, and butterflies are the creative inspiration source of Uyen – the owner of of Papillon Noir Nature. Unique designs as well as color techniques are what make this funky and elegant shop standing out from the rest in the Old Quarter. Every collection here is ready-to-wear, hand-made and painted, using pure genuine silks, and soft linens. The owner blends traditional techniques all over the world, thereby creating a general beauty and creative style that speaks the voice of all of us. Last but not least in this check list of tips on shopping in hoi an, shop 45 is a unique destination that has a wide range of products for customers to choose from. Bag, shoes, and clothes or whatever else you want to made during 24 hours are available here. However, this shop focuses mainly on fashion, including vintage pieces which are made to measure. There are literally tons of magazines with various clothing illustrations for you to choose from so you can get exactly what you want and have it designed your own way. On the other hand, the prices here are very reasonable, if not amazingly cheap, with the good quality and creative design. It will definitely be worth the time you spend for. Location:No. 45 Hoang Dieu (Hoàng Diệu) Street, Hoi An. Hoi An, without a doubt, is one of the most favorite places of a large number of travelers worldwide. Today, Hoi An is a shopping heaven for tourists. Hope that with the check list of tips on shopping in Hoi An above, you will find something interesting and adapt your demands upon visiting Hoi An. Wandering around and shopping in Hoi An is endless, so just simply come and explore Hoi An by yourself and have a great trip! Did I miss any great tip on shopping in Hoi An? Share your thoughts with us by leaving words below this article. We love to hear your voice!